A Wicomico County woman is taken by ambulance to the emergency room at Peninsula Regional Medical Center. The defendant emergency room physician diagnoses the woman with a DVT (blood clot) with associated arterial ischemia (vascular disease involving the interruption of blood supply). Defendant doctor also becomes involved with the woman's care. The DVT and associated arterial ischemia put the woman's leg at high risk for morbidity. In cases like this, patients are often moved quickly into surgery to prevent their limb from having to be amputated. 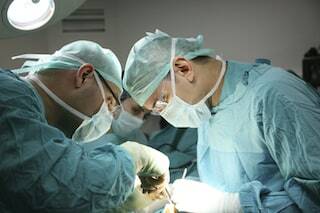 The doctor makes no arrangements for surgical consultation. The woman is transferred to the University of Maryland. By the time she arrives at the University of Maryland, her leg is no longer salvageable. The woman's leg is amputated below the knee. The woman files a medical negligence claim in Wicomico County alleging that the Defendants breached the duty of care by failing to appreciate the condition of her leg and the timely surgical treatment it required. The woman and her husband also file a loss of consortium claim against the Defendants as a result of her leg amputation. Jill M. Baren, M.D. - Dr. Baren an Associate Professor of Emergency Medicine at the University of Pennsylvania. She has a B.S. from Brown University and attended medical school at the University of Pittsburgh. Plaintiff is going to argue that her presentation required immediate action. She had a pale leg that was cool to the touch with diminishing pulses. Defendants are going to argue that it took five hours to properly assess this woman. But they are also going to use Plaintiff's argument against her, contending that her leg was gone when she showed up at Peninsula Regional. Another emergency room doctor was later added to the lawsuit after the initial complaint was filed. The Plaintiff had Stage IV lung cancer. Defendants may argue that her life expectancy is shorter as a result. Depending on the type of lung cancer, the survival rates can dip below 50% even with a Stage I cancer. Have you or someone you love suffered from malpractice in a hospital or emergency room? We can help you get the justice and compensation you deserve for the harm that has been done. Our law firm, Miller & Zois, has an extensive history of results, earning large verdicts and settlements in both emergency room and hospital malpractice cases involving serious injuries or wrongful death. Speak to a trial attorney today at 800-553-8082 or get a free, no-obligation online case review. Get information on emergency room malpractice case in the Baltimore-Washington area. What is the most you can get for a malpractice claim in Maryland? Miller & Zois helped our client get a $5.2 million verdict in a similar case in 2014 in Baltimore City.